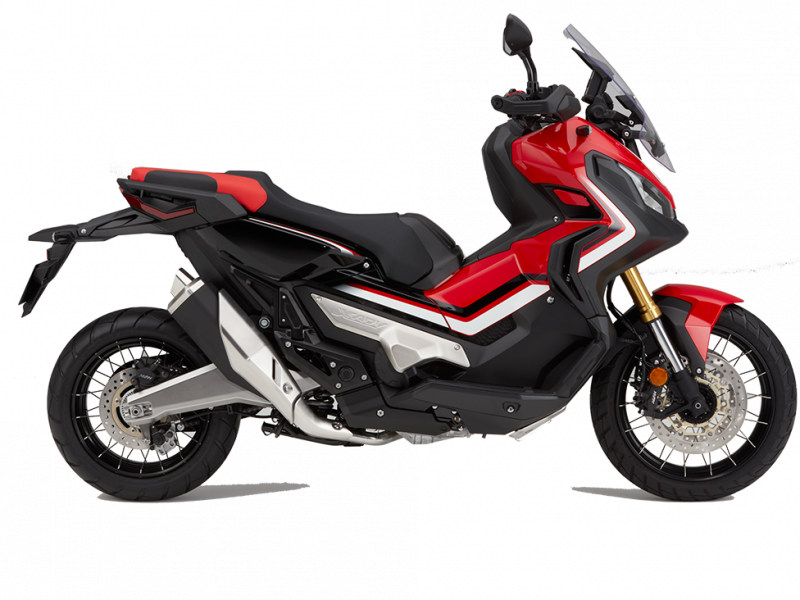 Updated for 2018, the Dual Clutch Transmission (DCT) receives an off-road G switch and the engine gets 2-Level Honda Selectable Torque Control (HSTC). 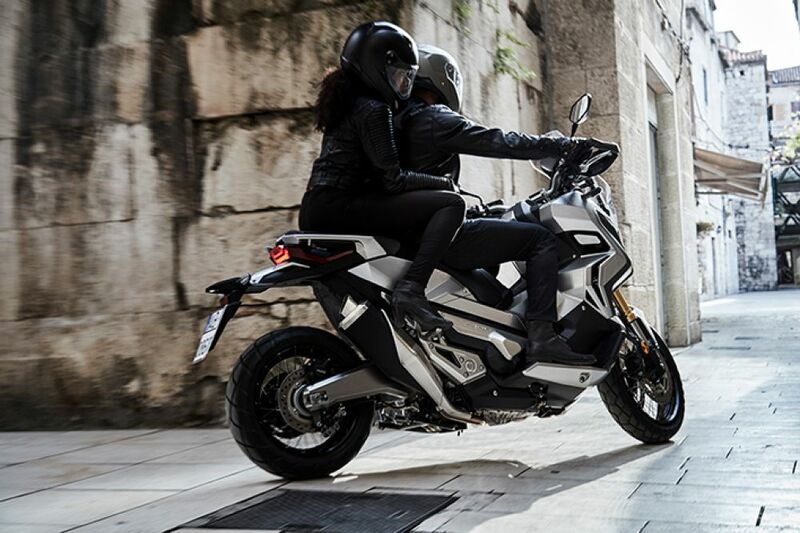 With its stylish, rugged body and elevated stance the Honda X-ADV puts an off-road ready attitude and intent right out there. 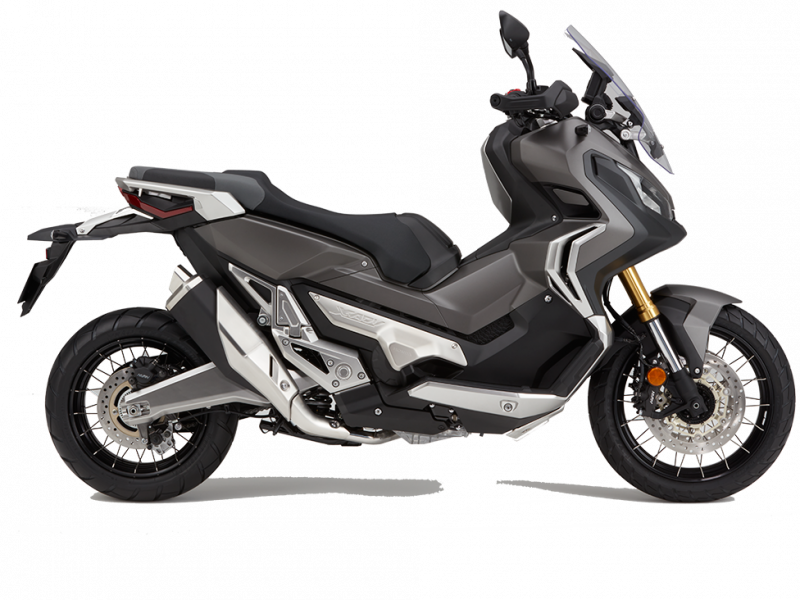 And the tough looks are matched to practicality; the frame has been designed to allow 21L of storage capacity under the seat. 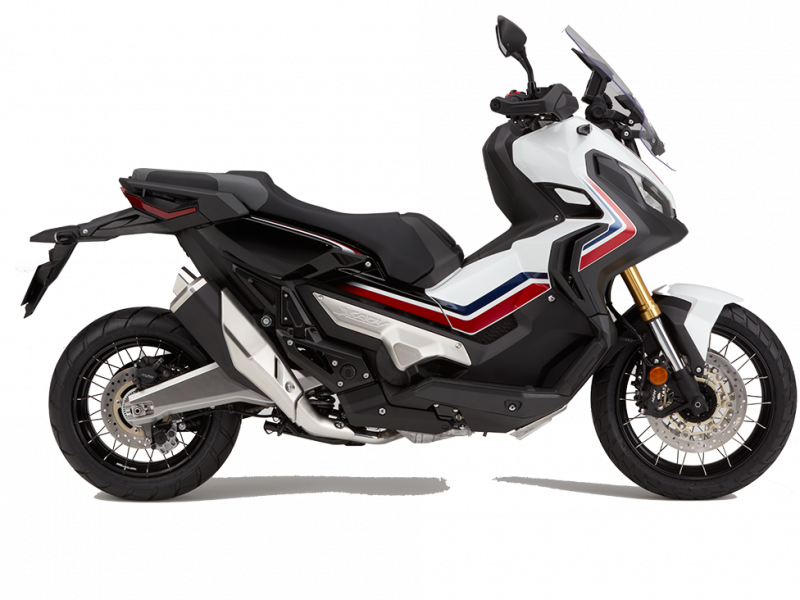 The X-ADV is also equipped with a 5-way adjustable screen, tapered aluminium handlebar, Africa Twin hand guards, Rally-style instrument display and centre stand. A Smart Key system delivers day-to-day convenience. 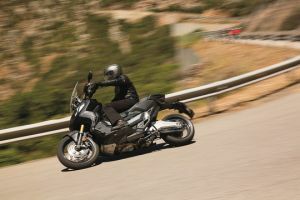 Long travel suspension front and rear absorbs the hits, backed up by rugged 17-inch/15-inch front and rear spoke wheels and block-pattern tyres. Dual radial-mount four-piston calipers provide ample braking power with ABS control. Honda’s Dual Clutch Transmission (DCT) is standard equipment and for X-ADV application selects lower gear ratios for smarter response in D mode; 3 levels of S mode are available with shift patterns to allow sportier riding. 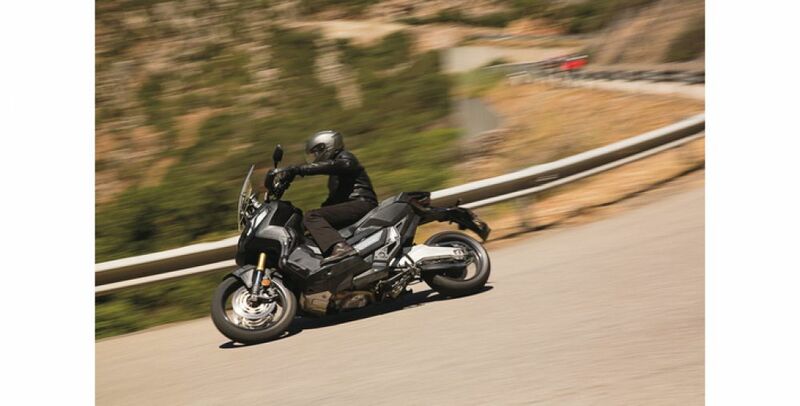 Perfectly matched to DCT the X-ADV’s 745cc twin cylinder engine puts out strong low-to-mid range torque, delivering attention-getting acceleration from very low rpm. It also returns 27.9km/l (WMTC mode). PCP Terms and Conditions: New retail X ADV 19YM orders from 01 April 2019 to 31 July 2019 and registered by 31 July 2019. Subject to model and colour availability. Offers applicable at participating dealers and are at the promoter's absolute discretion (excluding Channel Islands). Representative example based on years 6.9%% PCP. Excess mileage rate applies. 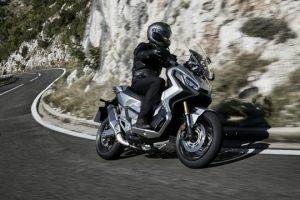 You do not have to pay the Final Payment if you return the bike at the end of the agreement and you have paid all other amounts due, the bike is in good condition and has been serviced in accordance with the Honda service book and the maximum annual mileage of 4,000 has not been exceeded. Excess mileage rate applies should this be exceeded. Indemnities may be required in certain circumstances. Finance is only available to persons aged 18 or over, subject to status. All figures are correct at time of publication but may be subject to change. Honda Franchise Dealers are credit brokers, not lenders. 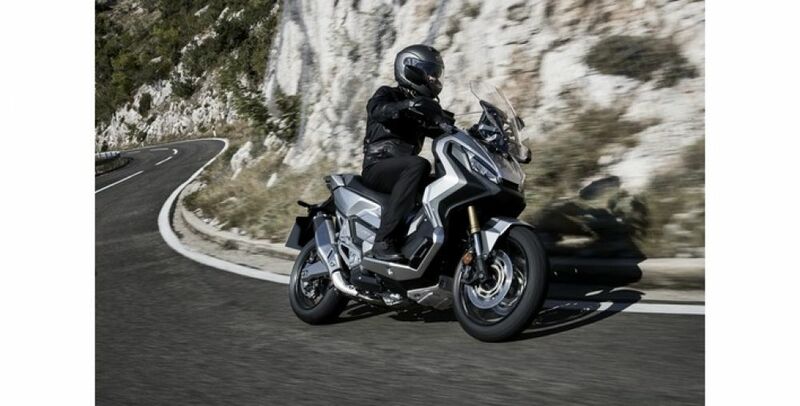 Credit provided by Honda Finance Europe Plc. Cain Road, Bracknell, Berkshire RG12 1HL. 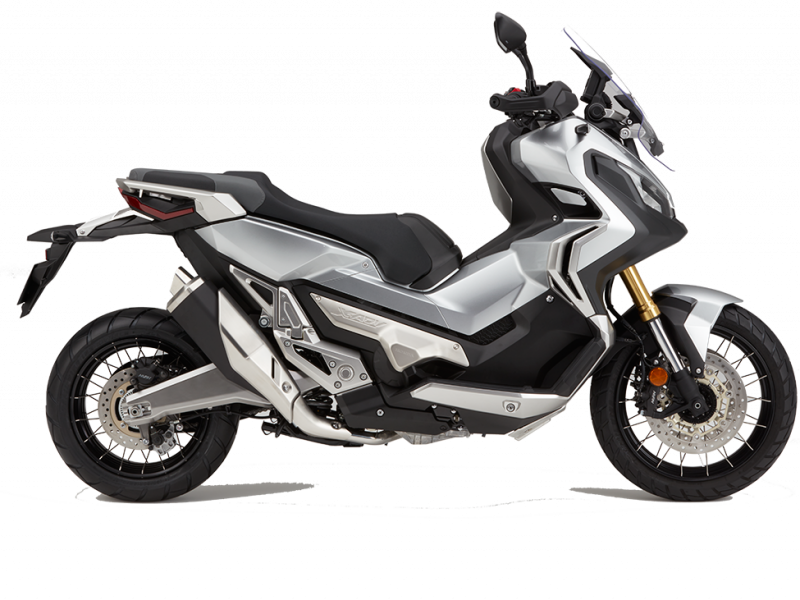 Honda Financial Services is a trading name of Honda Finance Europe Plc. a company registered at Companies House No 03289418. Honda Finance Europe plc is authorised and regulated by the Financial Conduct Authority, Financial Services Register number 312541.